‘Haasten’ is a ‘wederkerend werkwoord’: a reflexive verb. So the proper way to say it is: ‘zich haasten’. There is also a regular form of ‘haasten’ which can for example be used when you are rushing somebody else, but is is not as common. Common related nouns are ‘haast’ and ‘spoed’, see below. Some people are fundamentally against ‘haasten’ and have been promoting the opposite of ‘haasten’ as a lifestyle: ‘onthaasten’. This verb is not reflexive and translates as ‘to slow down (in life in general)’. – “Haastige spoed is zelden goed”: haste makes waste. – “Van hot naar her”: to and fro / back and forth / hither and tither. – Haast: haste, hurry, rush [noun] [de haast, <no plural>]. – Gehaast: hurried, hasty, in a hurry [adjective/adverb]. – Onthaasten: to slow down, to lower the pace [verb] [onthaastte, onthaast]. – Gejaagd: hurried, agitated [adjective/adverb]. – Spoed: rush, urgency [noun] [de spoed, <no plural>]. – Snel: fast, quick [adjective]. 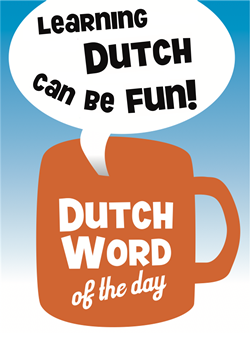 This entry was posted in Dutch word of the day, DWOTD 1.0, Vocabulary Basic and tagged gehaast, haasten, snel, spoed, zich haasten by Sander. Bookmark the permalink.